I’m Shattered | What Next? It is nearly impossible to talk about Picasso’s art without examining his relationships because they greatly influenced his work. Picasso had what many would consider a highly dysfunctional personal life. He was rarely faithful to one partner for more than a short period of time. One of his long-term relationships was with Marie Therese Walter. She was only 17 when their relationship began. 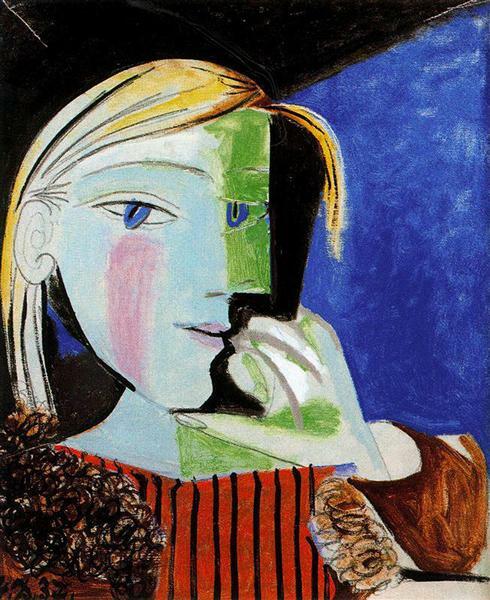 Picasso was still married to his wife Olga at the time. Marie later committed suicide and Olga had a mental breakdown. Pablo and Olga’s son Paulo was a young child when his father’s affair began. As an adult Paulo became an alcoholic who went begging repeatedly with his children to his father’s door for money. He was ignored. 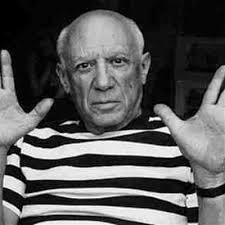 One of his grandsons and Picasso’s second wife Jacqueline also committed suicide. His long time partner Dora ended up in a mental institution. He left no will when he died so there have been ongoing law suits amongst his heirs. Numerous sources talk about how cruel and cold Picasso could be to his family. 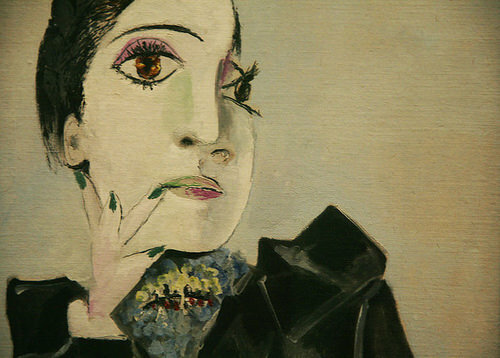 Would it be better to show Picasso’s art without talking about his troubled personal life? Not with teenagers and adults. High school students are old enough to do some serious thinking about whether we can separate a person’s private behavior from their public persona and achievements. I think it is an important discussion to have. In that way the current Picasso exhibit at the Winnipeg Art Gallery serves double duty, introducing visitors to a man who changed the world of art but also making them consider the price his family and those who loved him paid for his genius and whether it was worth it. Can you wreak havoc in so many people’s lives and still be considered ‘great?’ Art should make us think deeply about things and the current Picasso exhibit at the Winnipeg Art Gallery certainly does that!